Translated from Czech by Mark Nuckols. Edited by Eric Stimson. I happened upon an excellent commentary on this issue by Jiri Roskot in Právo last week entitled “There’s No Annexation Like Annexation,” which is devoted to, among other things, the anti-Russian sanctions imposed as a consequence of that supposed annexation of Crimea. Roskot observes how the United States in particular has influenced the form and intensity of the sanctions. (How could it be otherwise?) 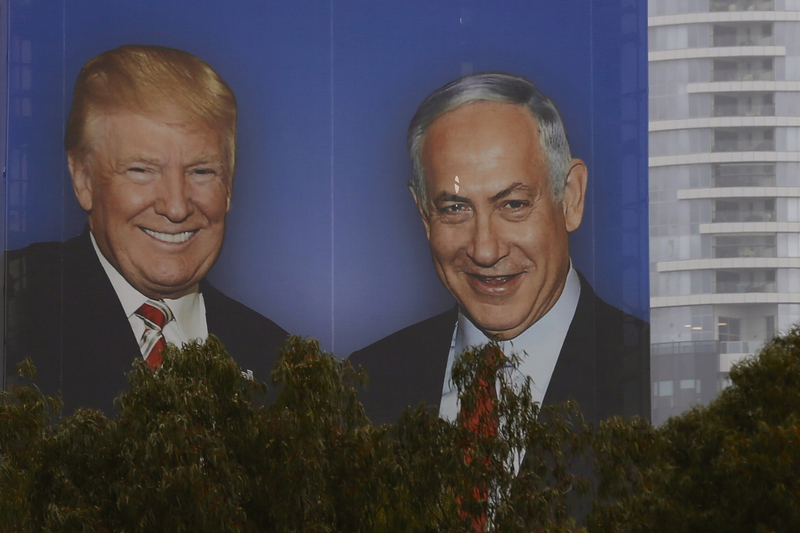 Yet, at the very same time, Donald Trump’s U.S. – thanks to that main Washington pro-Israel puppet, the American Israel Public Affairs Committee, – tossed the Golan Heights to the prime minister of the friendly country with the Star of David on its flag as a special campaign gift. Those are the same Golan Heights which Israel has occupied for over 50 years and has held as annexed territory since 1981 in contravention of U.N. Security Council resolutions and international law! As the author of that piece noted, even the United States had refused to recognize the annexation until recently. That is, until Trump came along! And some meddling in the internal affairs of foreign states doesn’t matter one bit – quite the contrary. Why shouldn’t Trump influence an election campaign in favor of a jingoistic, right-wing pal? Why shouldn’t he use his churlishness to open the gates for the politics of power and decree? After all, he’s the most popular president in U.S. history, as he very recently – and confidently – tweeted about himself. Trump isn’t influencing elections beyond the borders of his country for the first time – and certainly not the last. As for the first round of Ukrainian presidential elections on Sunday, March 31, the U.S. has, with complete certainty, pushed Petro Poroshenko through to the second round with its support, a kind of political doping. The comely former Prime Minister Yulia Tymoshenko can fume all she wants, but it was precisely the current president who, as a model pupil, best played the anti-Kremlin tune dictated by Washington. True, he didn’t manage everything the U.S. puppet-masters had envisioned (whether on Crimea or Donbass), but it’s a fact that Poroshenko at least occasionally was a thorn in Vladimir Putin’s side. Still, the farce known as the Ukrainian presidential election was not held in Crimea nor, according to Czech Television reports, in the Donbass, but in April there will definitely still be a prize to compete for. Stand-up comedian Volodymyr Zelensky still hasn’t won decisively. Well, not until he publicly signs onto U.S. policy and plays off Putin as being Satan’s apprentice at least.